Ever wondered about the gods who kept popping up in the Olympians series? Well here's your A-Z guide (sorta) narrated by the famous demigod himself, Percy Jackson. The origins of the Greek gods and the Universe is told in a sarcastic and witty manner, but don't worry, it is 100% accurate. I'd have to say I was pleasantly surprised by how much I enjoyed this. I have studied Greek mythology before, so the thought of reading about it all over again wasn't exactly enticing. However, once I read the preview for the first chapter I immediately knew this was a must buy. Rick Riordan's writing is witty and hilarious, and it translates so well in Percy Jackson's voice. I actually missed his narration after finishing the Percy Jackson and Olympians series so this was a great way to revisit him. Because he adopts such a joking manner, the tone is light and enjoyable, making the topic a lot more interesting than what it would be. I'm not saying Greek mythology is boring, I mean I chose to study it, but that its told in a more modern and relatable way. Have you ever heard of the gods referring to people as "dudes" and wearing sunglasses? Exactly. It makes for learning about the origins behind the entire Percy Jackson stories easier and fun. I did struggle to finish the last 50-80 pages, because the book is quite lengthy, but also partly because I was falling into a reading slump. 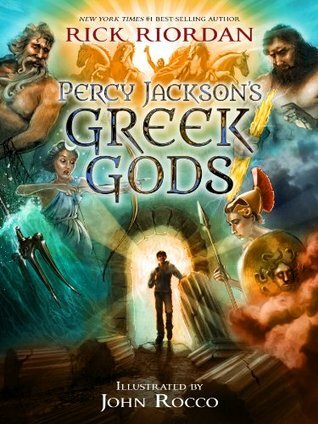 Still, it was great to "revise" and revisit the Greek gods and their doings, and I liked that some of the events Riordan included weren't as well known/was new to me. It's a great companion novel and very enjoyable. If you loved everything else about Percy Jackson then definitely check this out. P.S Sorry if I sound inarticulate, I haven't written a review in 2-3 weeks! Also cause I read this 3 weeks ago as well.